The ‘Aussie’ is certainly a favourite the world over. The ‘Aussie’ is certainly a favourite the world over. Despite their name, the breed actually originated in America for the use on ranches to herd livestock. An eager to please breed makes them a popular choice for many homes as too their striking looks and breathtaking eyes. 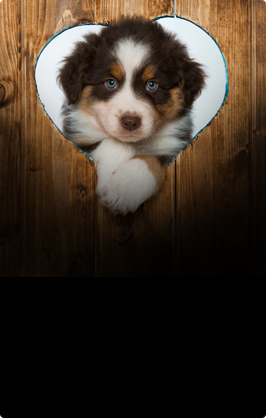 Being a working breed the Australian Shepherd is very easy to train and responds well to positive reinforcement and praised based training. They simply love to please those who adore them. However, they do require a lot of exercise to keep them happy and well adjusted. Training should begin from the word go with the breed thriving on learning new things and working alongside their beloved owners. 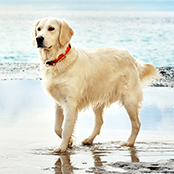 Strong leadership is a must with this breed, making them the perfect choice for experienced owners. Like with all breeds early socialisation is also very important to ensure your pup grows into a well-rounded dog who is open to new experiences and people. 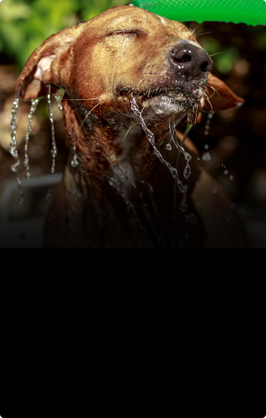 This breed loves to work, so enrolling in additional training such as agility or flyball will see your pup getting the brain and brawn flex needed to keep them happy. 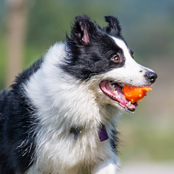 They are a herding breed and will need basic obedience to learn manners and prevent ‘nipping and chasing’ issues that can surface with certain types of breeds that have historically worked alongside livestock. 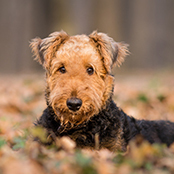 The breed is known for shedding particularly seasonally and will need additional grooming during this time to help with the tumble-weeds of hair around your home. The coat will need weekly grooming to keep it tangle free and in good condition. Some owners also trim and clip their Aussies to help with coat maintenance and over-heating during hot summers. Don’t forget to clip your dog’s nails often. If you are unsure how to do this, ask your friendly vet-nurse for a demonstration. This breed loves to run and move! If you do not have the time to adequately exercise the ‘Aussie’ you may need to consider another breed. They will require good vigorous exercise daily. An off-leash run chasing after a ball or Frisbee is the perfect way to keep your dog happy and entertained. An Aussie who doesn’t get adequate exercise or entertainment can become a nuisance. Hearing the echo of their own voices across the backyards in suburbia may become a delight for the under-exercised Aussie. The Aussie is a very intelligent breed. Because of this they can become masters at making their own entertainment. 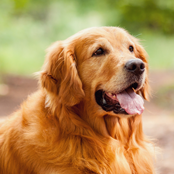 Ensuring your dog is well-trained and also correctly exercised is very important. You will also need secure fences to prevent your precious pup from escaping. Get creative with your boredom busters and start the day off with a good pant-provoking exercise to help ease a lonely day in the yard. With the correct training the Aussie can make a wonderful family companion. 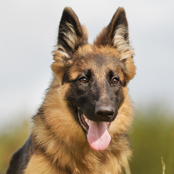 Remembering that this breed was historically used to chase and nip for herding purposes and many will have this ‘natural’ trait from puppyhood. However, with the correct training you can teach your young Aussie that this is not acceptable behaviour around children and other pets. Once they have a good understanding of the boundaries this breed will thrive in any active household. The Aussie does well outdoors but like all dogs will prefer to be alongside their loving human curled up at the feet of a sofa. Ensuring they have enough shade during the summer as well as ample water to keep them cool and prevent over-heating. Fences are very important as an Aussie who wants to escape will stop at nothing to get free.